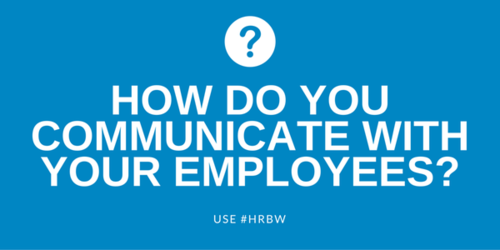 Chat with community members and business leaders on employee morale using #HRBW. 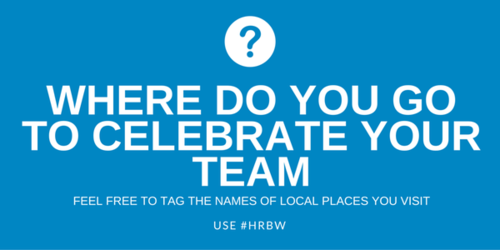 Let's try to get #HRBW trending on Twitter in the #757 . 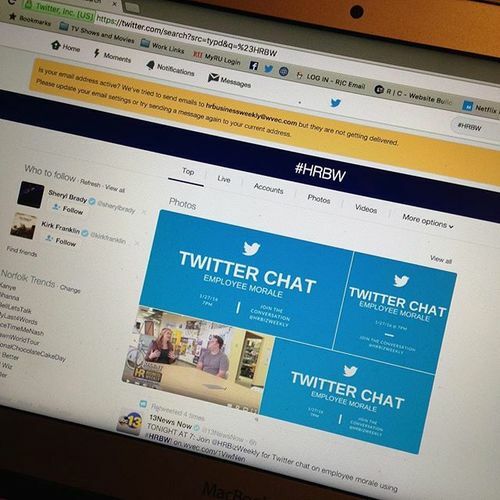 #TwitterChat happening at 7pm. You joining us? 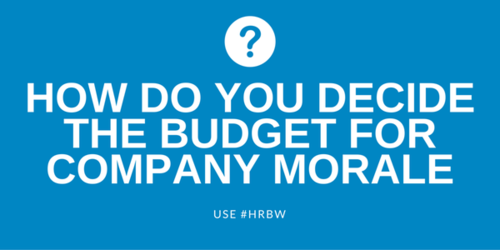 If you're joining us for the discussion on #employeemorale , don't forget to use the hashtag #HRBW . Thanks! 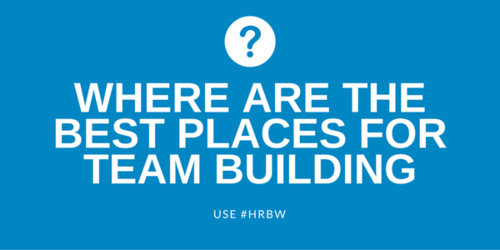 Even I forget to use #HRBW . Keep using it to remain in the conversation! I bet @ReeNayNay would have like it if someone would have killed the spider! 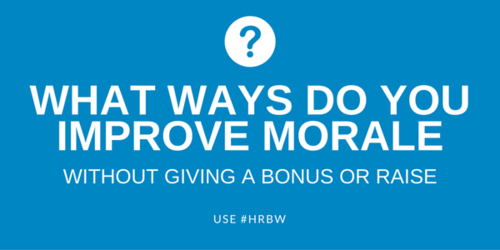 #hrbw q3 bonus round! 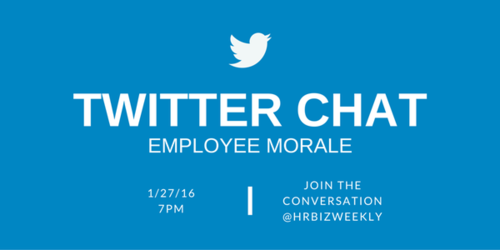 If you're just joining us for the #TwitterChat on #employeemorale , welcome! 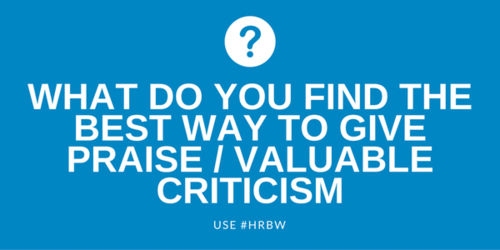 Use the hashtag #HRBW when you answer questions.